For centuries, the horseshoe has been considered a symbol of good-luck, hope and prosperity. This elegant pendant elevates the appeal of this popular pattern by embellishing it with lustrous lab grown diamonds. These eco-friendly gems have been prong set along the entire frame to create a truly captivating appeal. The 14k white gold metal seamlessly complements their beauty and creates the perfect background for an enticing piece of jewelry. 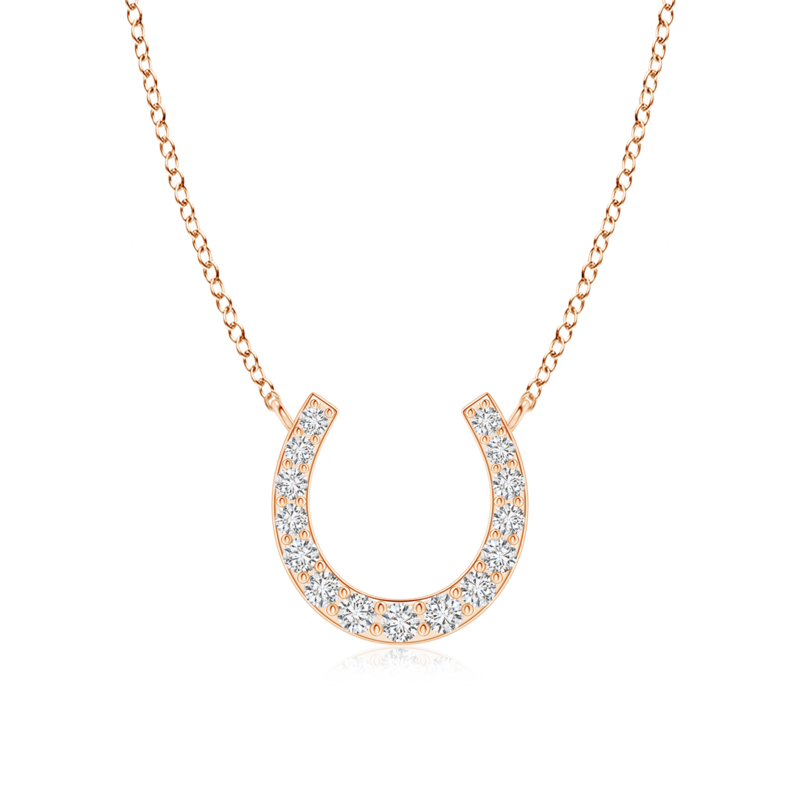 This diamond horseshoe pendant necklace is a sophisticated way to flaunt an iconic symbol.